Minecraft is an engaging environment that allows fans of all ages to exercise their creative powers, make exciting worlds and populate them with creatures and objects. One of the neat features of Minecraft is that it is possible to “hack” the Minecraft game with real Python code. Our students use Python to automate the building of huge structures, code shortcuts, and build a “game within the game”. Python is used as the main coding language by a large number of schools for the programming element of the GCSE and A Level Computer Science courses. Our curriculum has been designed to ensure that core concepts have been covered in depth. The focus of the course is learning Python – some Minecraft skills are helpful but not required. Students should bring their own laptop. Alternatively, we can provide them for an additional (at cost) fee of £60 for the duration of the course. Bring your Minecraft ID if you have one (we have some spares if you don’t). You will need the admin password to your laptop in order to be able to install the necessary software. Any laptop that runs Minecraft will be fine – their recommended technical spec is here. 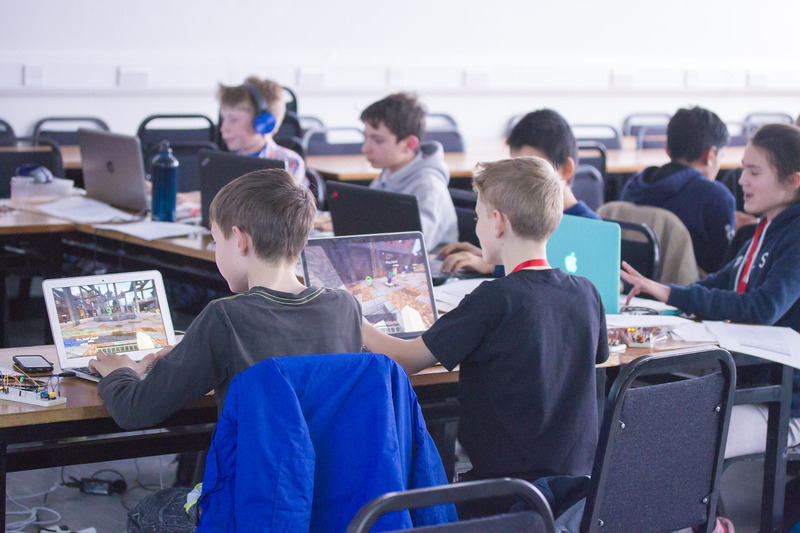 Young people learn how to write code that interacts with the Minecraft game, creating mini games within the Minecraft world. The focus of this course is learning Python programming, using Minecraft as an engaging environment and tool. Students will also get their hands dirty with electronics, building their own game controller, using breadboards, buttons, flashing LEDs and a custom mini Arduino. The course price includes the (discounted) cost of these kits, which the students will be able to keep. Build their own game controllers for Minecraft, by linking the virtual Minecraft world with the real world through the use of Arduino and electronic circuits. Q i am using php as developing is python is easy to understand by me??? A All programming languages use some similar logic so if you have done much PHP it will give you a head start with understanding some of the logic of Python but there is still much to learn to master the syntax of Python. Also, PHP is used for web development whereas Python is a more general purpose programming language which will have features you may not have been able to do in PHP.